Psiber CTK1015 CableTracker Tone and Probe Kit activates link lights to identify a connected hub or switch port. 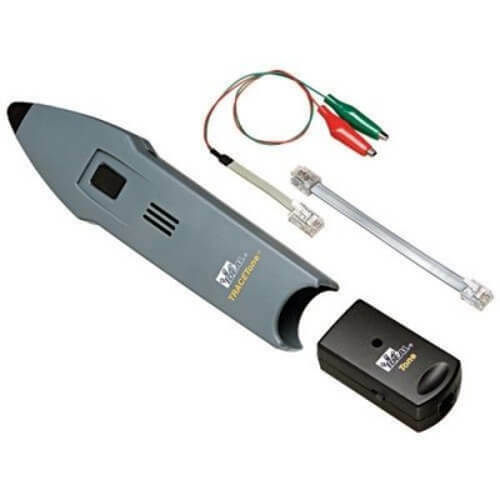 The CTK1015 has the following features: Transmits four audible tones; RJ-45 male or female connection; Detachable DMM alligator clips; Detects short or open circuits. 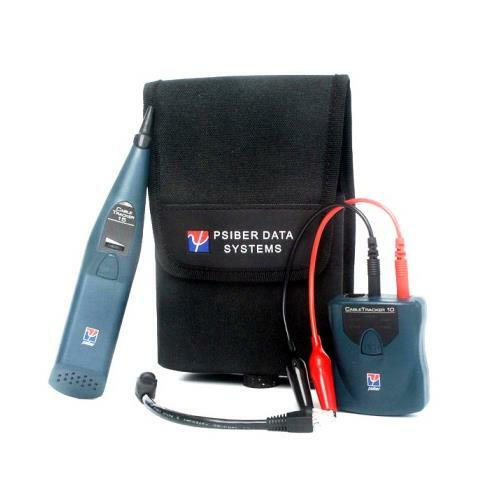 The CableTracker Network Tone and Probe Kit model CTK1015 is designed for network managers and technicians. Toning an active LAN circuit can disrupt network traffic and is difficult to track due to cable twist and tone bleed. 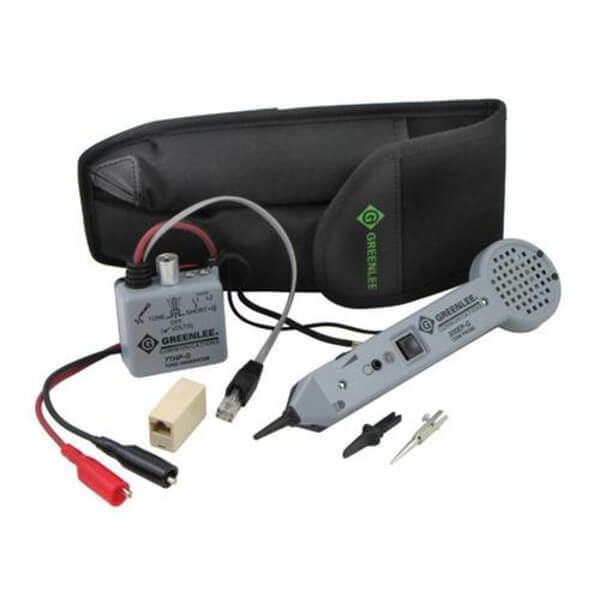 The CableTracker Network Tone and Probe Kit features a Port ID function that blinks the link light verifying cable connectivity. This feature also provides a simple and effective method to identify switch or hub port assignments on active networks. Three different blink rates are provided to ensure compatibility with equipment from a wide range of manufacturers. Traditional toning with two different tone frequencies and patterns is provided for non-active circuit tracing. The Cable Tracker model CTK1015 incorporates several time and money saving features not found on other kits. The RJ-45 male connection and the alligator clips are detachable and commonly available, meaning cord failure won't obsolete your tester. Auto power down extends battery life and a built-in low battery indicator warns when battery replacement is required, saving unexpected down time searching for batteries. 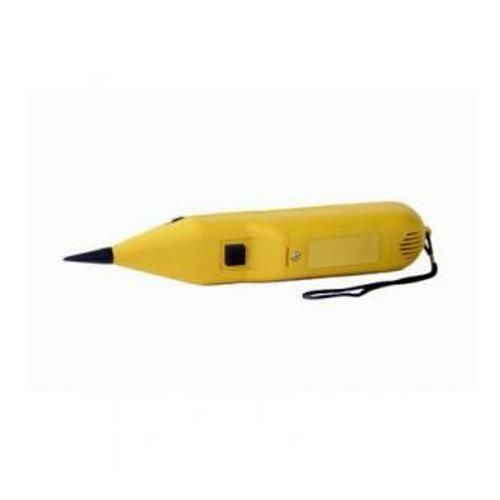 The CableTracker Network Probe Model CTK1015 incorporates volume control, non-conductive plastic tip, and complete compatibility with existing toners. From a wall outlet, blink a Hub or Switch link light to identify connected port; Three selectable blink rates provide the widest compatibility with LAN equipment; Find cables hidden in walls and ceilings; Transmits two audible tones and with two selectable patterns; Detect shorts using built in continuity check; Detachable alligator leads as well as an RJ-45 jack; Carry case included. 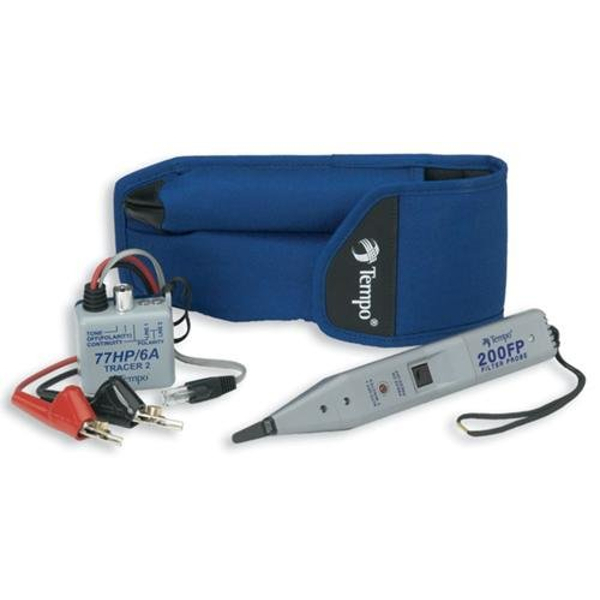 Tone and Probe Kit that includes cable tracer and locator, also called pair identifier and tone generator. Famous brands of inductive amplifier and tone probe include Progressive Electronics, Test-Um and Psiber. Tone and Probe Set for your Computer Network, Telephone System or other Cabling Installations. Network Cable and Port Identifier for Network Managers and Technicians.